Roundup Archives - Page 3 of 4 - Oh Snap! Let's Eat! The Ultimate Paleo Chicken Recipes Round Up! Everyone loves chicken… because there are SO MANY things you can do with it! 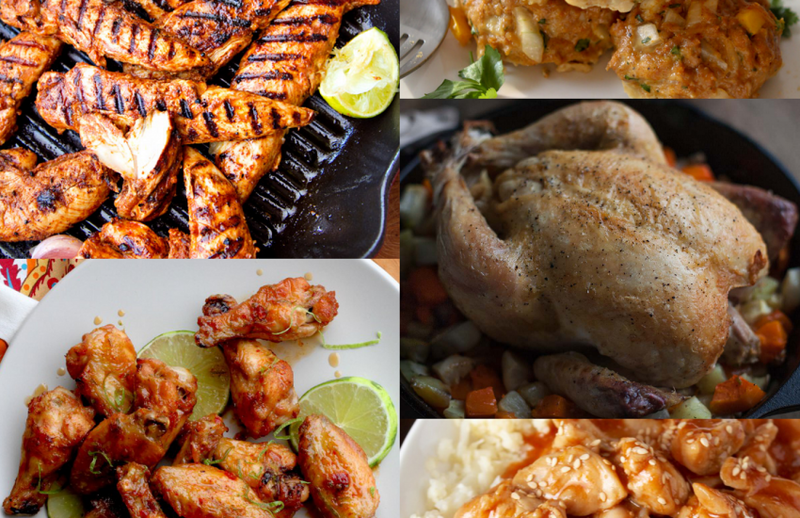 I rounded up over 100 Delicious and Paleo Chicken recipes to try out. There’s Fried Chicken, Roasted Chicken, Chicken Salad, Chicken Soup, Chicken Crock Pot recipes, Asian Chicken recipes, and MORE. 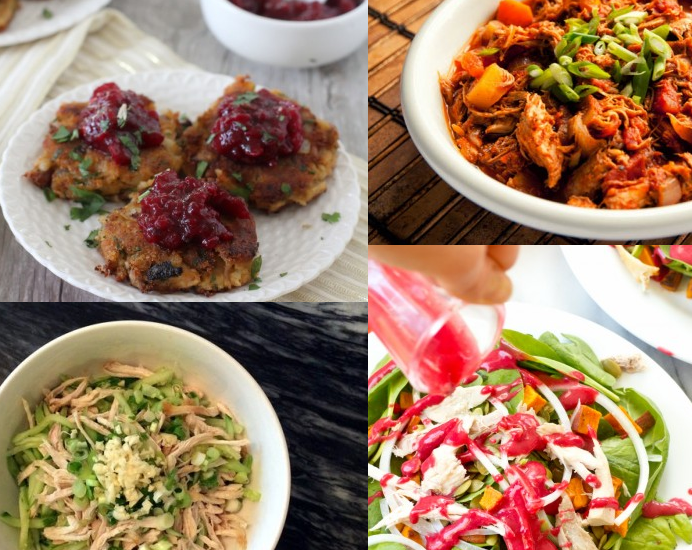 20+ Yummy Paleo Thanksgiving Leftover Recipes! Thanksgiving is awesome because ZOMG FOOD. However, what do you do for the days following when you a gazllion pounds of Thanksgiving Leftovers left?? FEAR NOT. I have it covered. 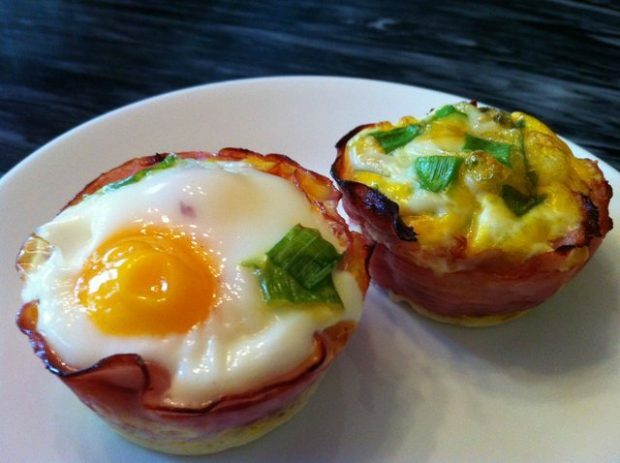 Here’s a sh*tload (ok… more like 25) of Paleo Thanksgiving Leftover recipes to try! 40+ Grain Free Thanksgiving Side Dishes! If you’re like me, then you are probably starting to prepare your Thanksgiving dinner menu! If you’re looking for grain free side dishes, look no further! I’ve got everything here! Dinner rolls, Gravy, Veggies, Stuffing, Mashed Potatoes, Squashes, Cranberry Sauces, and more! You might try to deny it but I know the truth – your FAVORITE part of Thanksgiving is the Desserts! 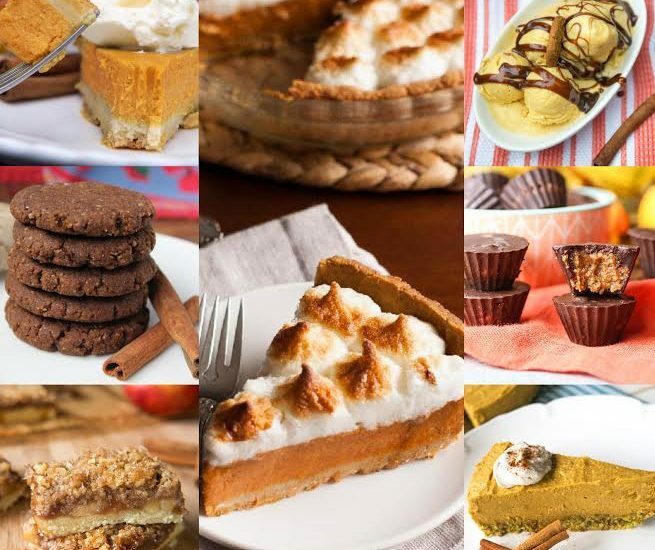 You love them pumpkin pies, sweet potato pies, pecan pies, apple pies, snickerdoodles, cheesecakes, coffee cakes and more! Well, good news, I have 55+ recipes of Thanksgiving Desserts right here and all made with paleo real food ingredients! I love eating casseroles any time of the year, but don’t you just feel like they are the best during the cooler seasons? I mean, you can’t have a Thanksgiving or Christmas dinner without some type of casserole! 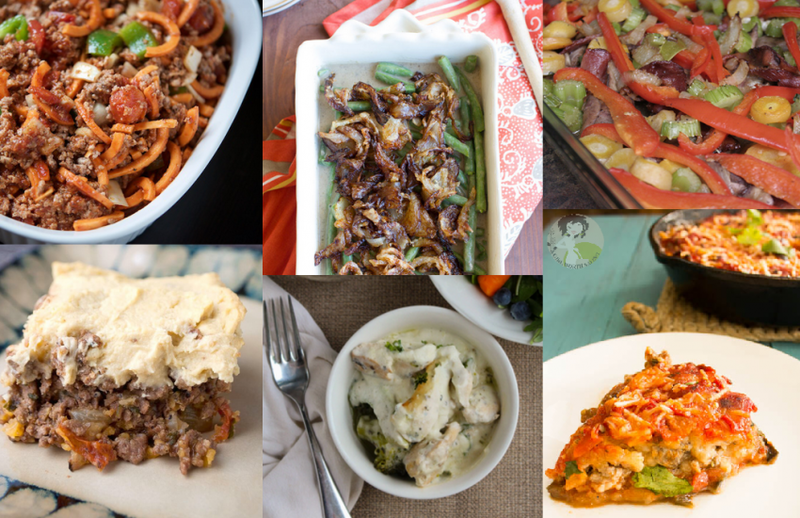 This is why I put together a Paleo Casseroles Round Up – just in time for the chilly weather! I’ve included ones made with Beef, Pork, Chicken, Turkey, Veggies, and more! 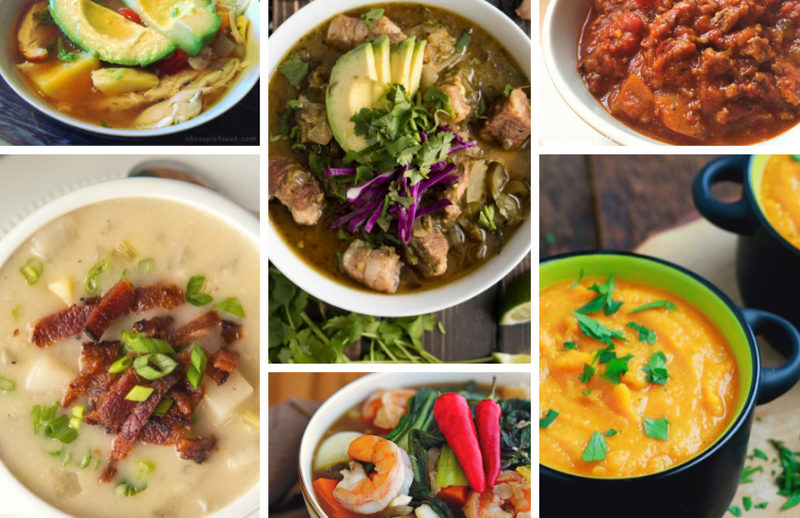 The Ultimate Paleo Soups Recipes Roundup! Is it not chilly or what? You know what’s PERFECT when it’s chilly or rainy out? Yep, a bowl of hot soup… maybe even a whole pot. Hey, I don’t judge! That’s why I put together over 60 of them – pumpkin, butternut squash, tomato, mushroom, chili, potato, chicken, Asian and more! 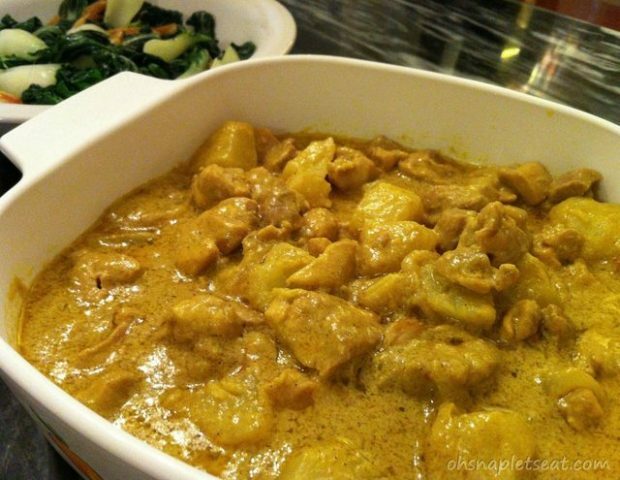 The Ultimate Paleo Asian Recipes Round Up! All right, Asian food lovers! 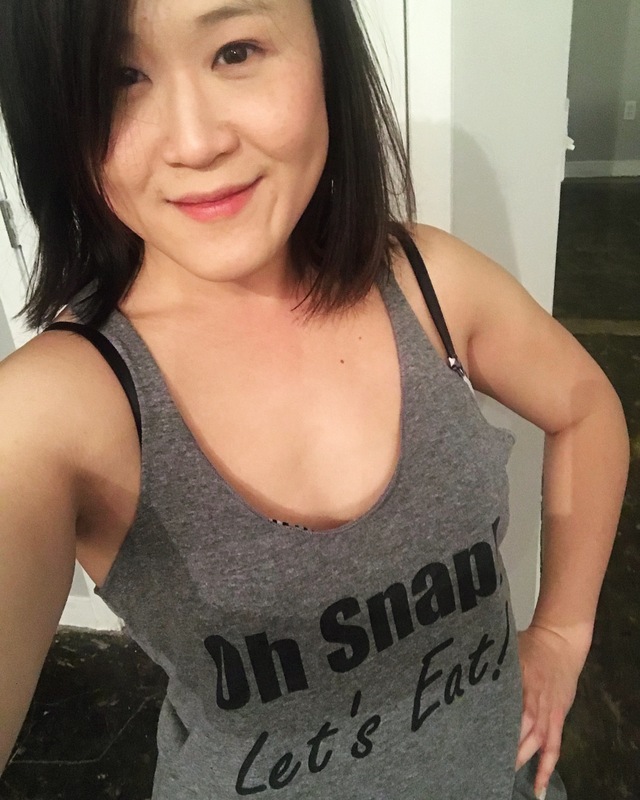 I put together 100+ Paleo Asian Recipes including Chinese, Thai, Indian, Indonesian, Japanese, Filipino, Korean, and Vietnamese food! 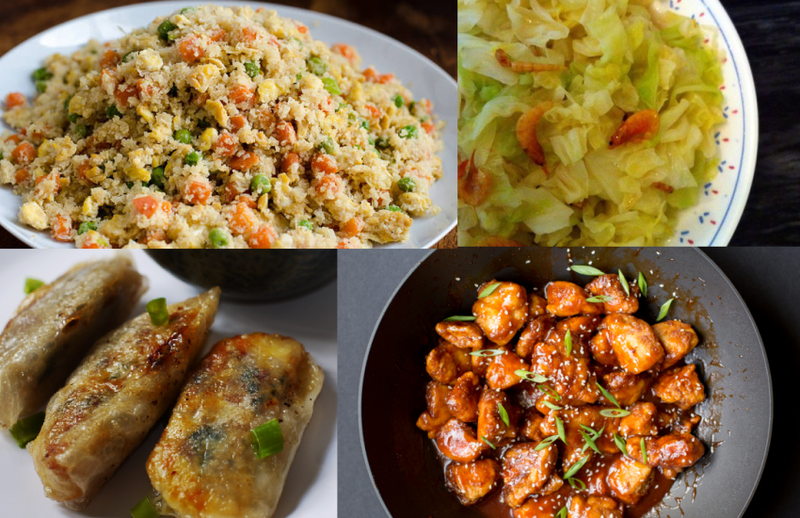 I got the idea to put this Paleo Asian Recipes Roundup together because one of my paleo eating friends mentioned that he misses Chinese food but can’t eat it any more because he’s Paleo now. I said, “WHAT? !” That’s when I learned many people associate Asian food with unhealthy oily junk. 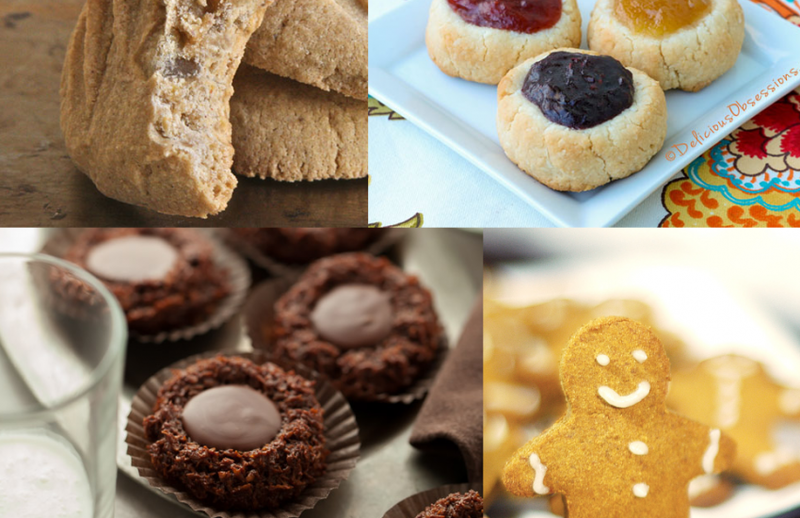 25+ Paleo and Grain Free Christmas Cookies Roundup! It’s the most… wonderful time… of the year! Well, I don’t know if that’s true for you, but I will say it’s a wonderful time when you have some yummy cookies while hanging with friends and family around this jolly season! But holy crap can cookies be unhealthy. Good thing my fellow Paleo and Grain-free recipe buddies came up with healthier versions of holiday cookies! Time sure flies! It’s already November, time to start preparing (if you haven’t already) your Thanksgiving menu! 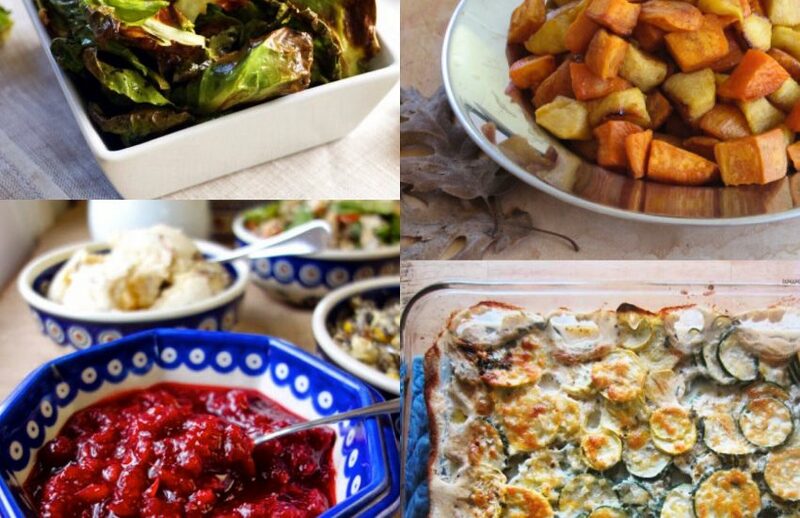 If you are having a Paleo Thanksgiving meal this year, look no further for recipes! 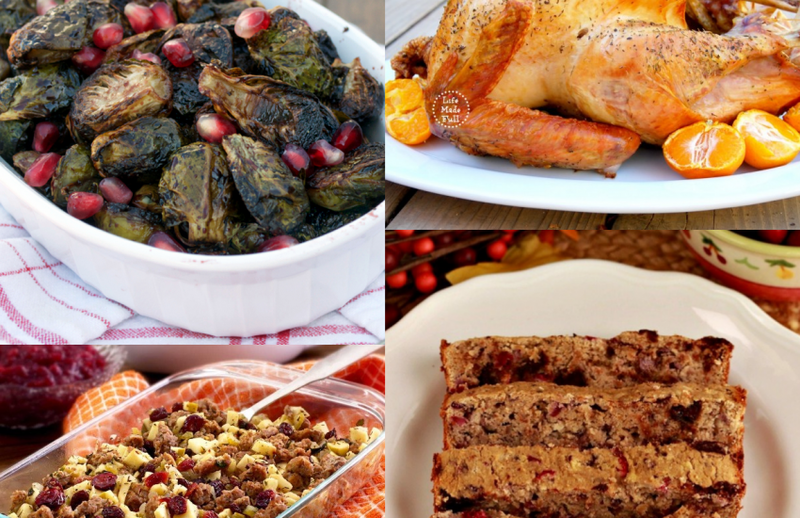 I have rounded up some delicious Paleo Thanksgiving Recipes from Stuffing to Turkey to Side Dishes to even what to do with Leftovers! The Ultimate Paleo Fall Recipes Round Up! I can’t say fall is my FAVORITE season, but food wise – it is freakin’ awesome! So, here’s what you’ve been waiting for!!! I’ve gathered all these delicious yummy fall recipes from all the awesome paleo and gluten free bloggers I love. 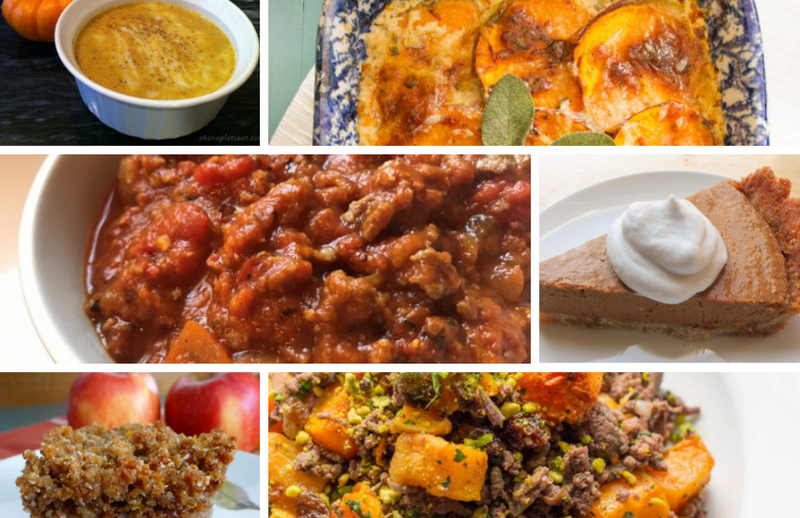 Here’s the ultimate Paleo Fall Recipes Round Up – with 80+ recipes including breakfast, beverages, entrees, soups, desserts, and more!